WoodWood's Ernest Sweat is a knitted sweater from the Spring-Summer 19 'The Outside' Collection. The sweater is fabricated from a soft cotton linen blend and comes with a regular fit. WoodWood's Ernest Sweat is a knitted sweater from the Spring-Summer 19 'The Outside' Collection. 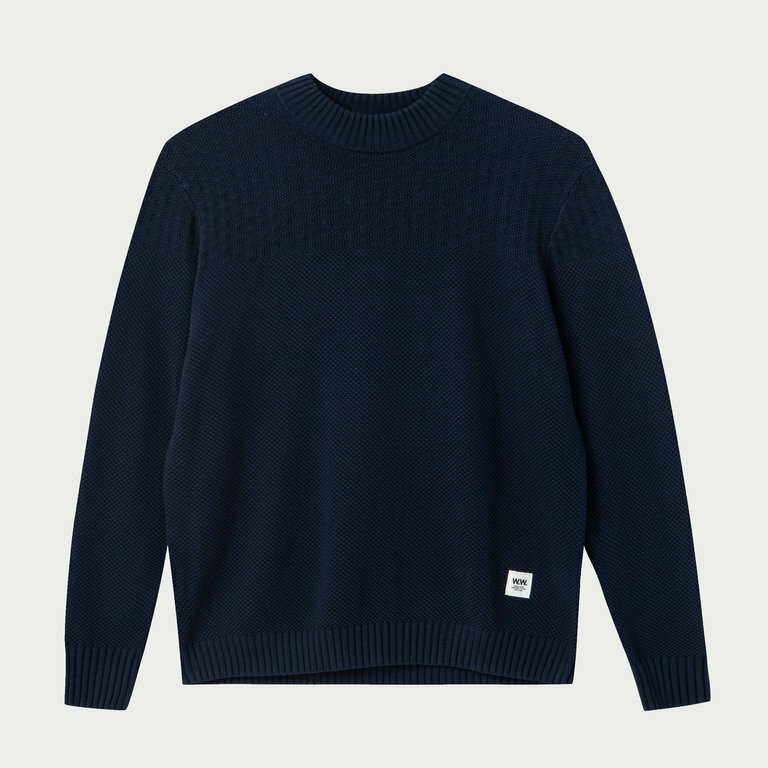 The sweater is fabricated from a soft cotton linen blend and comes with a regular fit, funnel collar and ribbed cuffs.